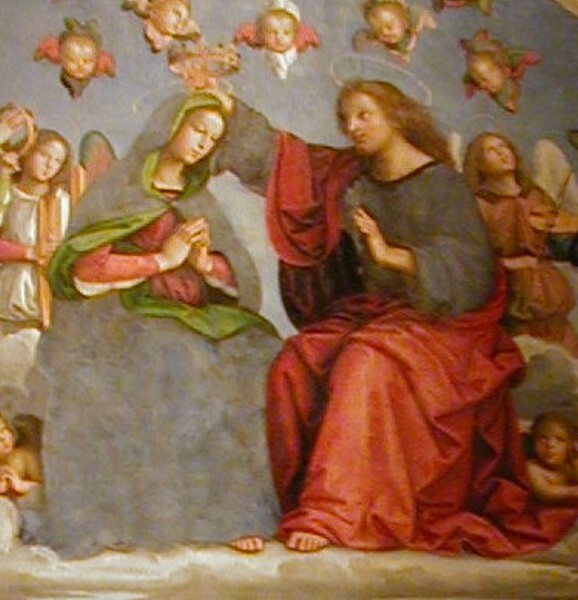 This is the first of the Renaissance images, by Raphael around 1500. Raphael and Michelangelo broke new ground in many ways, including ignoring prior tradition in the depiction of Christ. In the Vatican Museum.